Hi! This is obentou from AP. 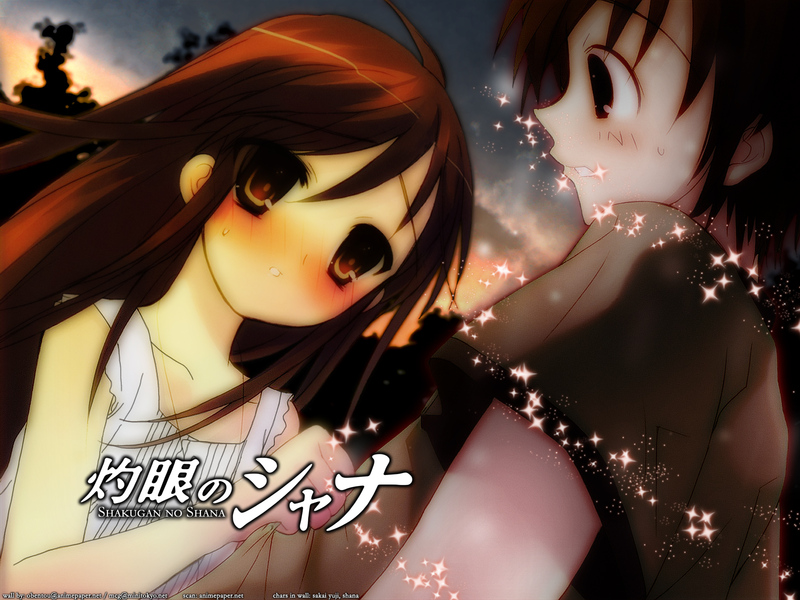 Here's the next installment of my wallpaper collection I have made, from Shakugan no Shana. I've seen a ton of walls of SNS which are all fiery and red, but I made this one to reflect the other side of Shana; the calm, blushing one. Anyway, Yuji has those things around him since I wanted to portray his departure into "the other world" (or death) since his Torch has gone out. And the sad facial expression on Shana shows her attachment to Yuji, despite her aggressive personality. Check it out at AnimePaper for a more detailed description. Edit: OK I SWEAR, this is the last time I will update this. Final version out Oct 3 2:22 PM. -numerous change of lighting to yuji. Note: The scan is NOT bad quality. Minitokyo's resize just crapped it up. 1st comment! w00t! ^-^ kay! had to get that outta my system. This is an awsome wall! I especially like the background. hmm...those lines on Yuuji's face...there kinda seems to be too many almost makin' the scan look like it has a bad resoultion. overall, it's nice, with shana blushing to express her attachment to her newfound love to sakai yuuji. however, her expression here still isn't enough for that intention. i would say her eyes need to be shinier (more tears in her eyes) in order to re-inforce her deeply love to him as what we know in that drama. i think if this were to be done, sakai yuuji should be in blur, almost transparent-like image. maybe that way can make this picture more powerful expression, as contrast with her over-tomboy personality. It's nice, but not too much to it. The sparkles are interesting, lol. A little blurry for me, but I like the colours, eheh.